Why are Whites under attack in South Africa? Because Jews gave Blacks political power. 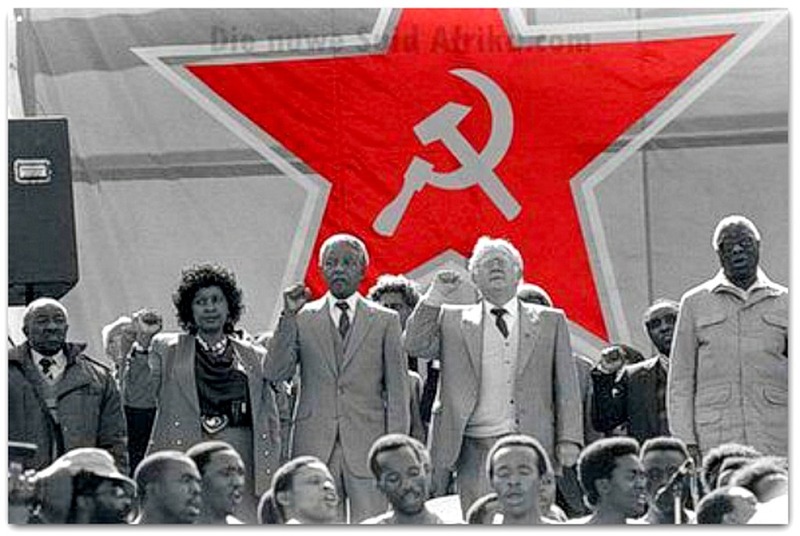 In fact, one Jew, Slovo (above) was the key man in the 1993 “deal” between White leaders and Black leaders to give political power to Blacks. See Joe Slovo/interim constitution plans. White people aren’t under siege only in South Africa, we are under siege everywhere, now in our homelands. We are taxed, browbeaten, and physically abused to promote the monstrosity of ‘brown man’. Whiteman, stand up and fight! Whites in South Africa literally voted to hand over their government to Negroes. I believe the mass voting took place in 1993. Who’s the black with the bulging eyes in the far-right of the picture? I didn’t know frogs and apes could mate. it is impossible for communism to exist unless supported by the Whiteman’s technology and infrastructure, even Mao discovered that truth when the so-called ‘great leap forward’ failed abysmally. Photos showed a young man with his face bleeding driving a white car, and later demonstrators jumping on top of the overturned car. Does anyone know if the young man escaped? Also, none of the demonstrators were carrying books. Were they “students”?